Welcome to Antler Ridge Resort Cabins, a year-round cabin rental resort in Greer, Arizona. Greer is a quaint village nestled among towering aspens and pines where guests can truly escape from it all. At an elevation of 8,500 feet, our rental cabins offer an escape from the desert heat to cool summer temperatures. In Spring, the high country is in full bloom with wild flowers blanketing the Greer meadows. In October, visitors can enjoy the aspens and oak trees in a dazzling display of red, orange and gold. Snow arrives in late fall and stays through most of April. Cross-country skiers can explore more than 30 miles of trails in Greer, AZ's own ski area. Sunrise Park Resort, Arizona's largest downhill ski resort, is just 18 miles from Greer. Also just a short drive away during winter, there are beautiful marked trails and acres of open fields for avid snowmobilers of every level. 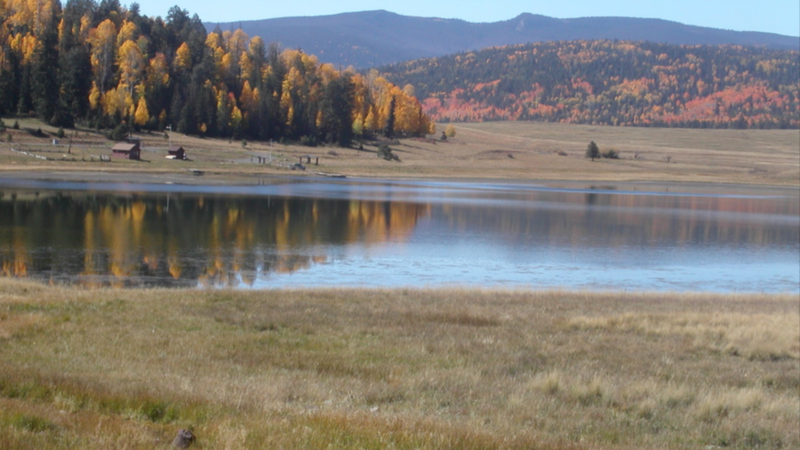 Antler Ridge has all the comforts of home and you'll find fishing, skiing and hunting not far from your doorstep in this secluded area of Arizona's White Mountains. Your children will love our playground and everyone can enjoy catch and release fishing in our private stocked pond. Our managers, Coral & Steve Ashton, will ensure your stay with us is enjoyable. Learn more about Greer, Arizona in the fabulous White Mountains of Arizona by clicking Things to Do and plan the activities you won't want to miss and get up to date ski conditions. Preview our rental cabins to find the best option for your group and reserve one today. Antler Ridge is a great place for family reunions and large groups.